Nike Metcon 4 Review — The Best Training Shoe for 2018? In late December 2017, Nike released their fourth iteration of the popular cross training shoe the Nike Metcon 4. With every Metcon model, Nike tries to include more features that increase their functionality for strength athletes. Some of these features include smaller heel-toe offsets, plastic heel clips, larger outsoles, and reinforced shoelace eyelets. The Nike Metcon has become somewhat synonymous for cross training activities. Over the last couple months, we’ve been putting the Nike Metcon 4 to the test in the gym and in day-to-day activities. We wanted to find out how this model compared to others on the market in search of finding the best cross training shoes. Out of every cross trainer we’ve tried, the Nike Metcon 4 is the most stable option under heavy loaded compound lifts. One of the most stable cross-training shoes with a solid outsole, TPU layered heel, and mesh outer construction. Solid outsole with hard TPU heel to limit compression even under heavy lifts. Well-made outer construction with durable reinforced mesh and TPU. Additional Flywire for reactive feel, along with a flatter 4mm offset. The Nike Metcon 4’s outside material is composed of a sandwich mesh, the outide features Nike Flywire with a light TPU covering it. On the inside of the shoe’s sandwich mesh there’s a softer material, and I thought that was nice feature for additional comfort and flexibility. Towards the big toe, Nike has added a synthetic feeling material to prevent drag in movements like burpees and other toe dragging activities. The offset is 4mm, so the shoe sits really flat, it feels sturdy and fully grounded. I never noticed any issues with my ankle stability during strength, power, or even cardio-esque movements. 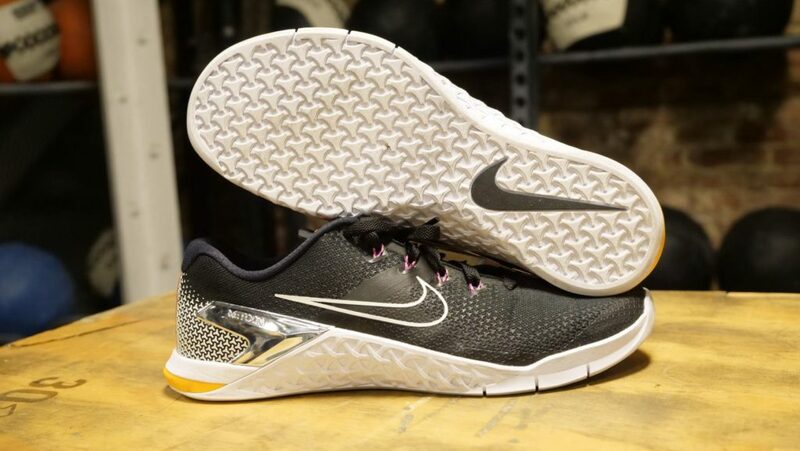 In my opinion, I felt like the TPU Nike used in this Metcon was a bit harder than previous models, which is a good thing for heavy lifts. 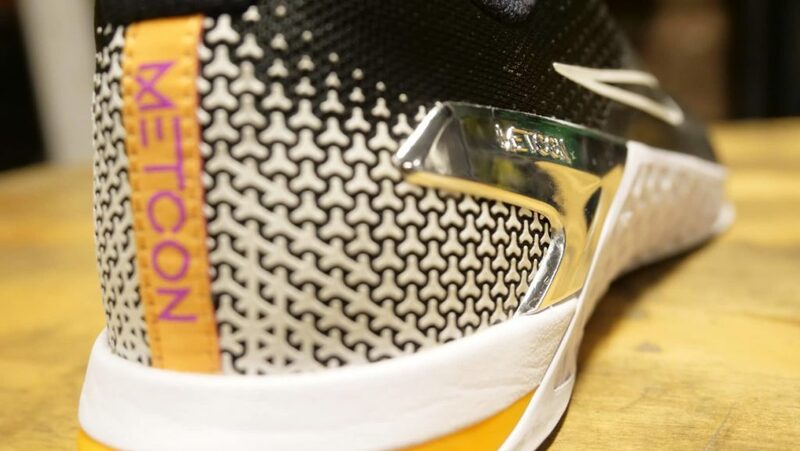 On the lateral and medial side of the shoe, the outsole wraps up pretty far along the arch. This can be useful when gripping medicine balls and has been a feature on the past Metcon models. 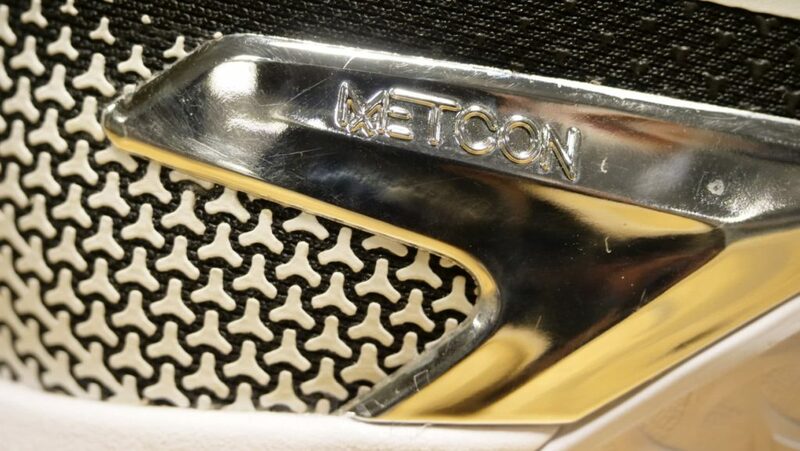 There’s a plastic heel clip extending from the mid-foot to the heel, from what I noticed, it feels a bit sturdier and more secure than the Metcon 3’s clip. The tongue is a light weight mesh and leather material, and is pretty breathable towards the bottom of the shoe. There are six eyelets and the four middle eyelets have reinforced threads. The bottom of the shoe and the outsole is composed of sticky rubber. After a couple months of working out the sticky rubber is still providing solid traction. To test this shoe’s functionality, I performed gym-focused tests. These five tests include heavy back squats, power cleans, box jumps, rope climbs, and wall balls. My biggest concern with cross training shoes is how much stability they provide in strength-focused movements and I feel this battery does a good job of covering multiple functional fitness aspects. In my opinion, I think this is possibly the most stable Nike Metcon yet. For the back squat, I worked up to heavy triples and didn’t notice any give in the heel or outsole for that matter. 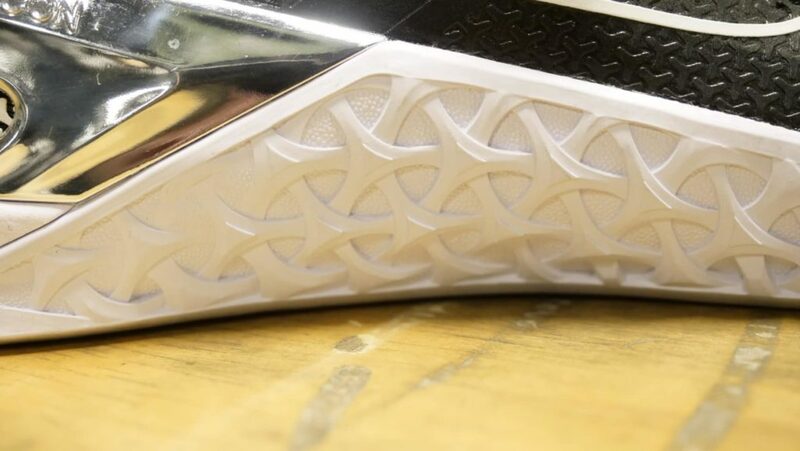 The TPU in this model is solid and I’d feel confident saying this shoe will prove to be stable under most (if not all) athlete’s squat weights. For the power clean, I also liked how the Nike Metcon 4 performed. There’s a small offset, but the flat outsole helped make up for the lack of heel. I felt grounded and sturdy during power based movements. In addition, they performed well with wall balls and kept my foot flat and stable during the throw and catching portion of the movement. On the rope, this shoe did a pretty good job at supporting my performance. Personally, I don’t use my feet on rope climbs, but I did to test these shoes and I liked how the sticky rubber gripped the rope on the medial and lateral sides of the shoe’s outsole. The only real problem I had with this shoe was why I thought it was so great, and that’s the firmness of it. It definitely wasn’t the comfiest option on absorbing multiple box jumps, but it wasn’t a huge deal, you just need to pay attention to absorbing your landing a bit better. 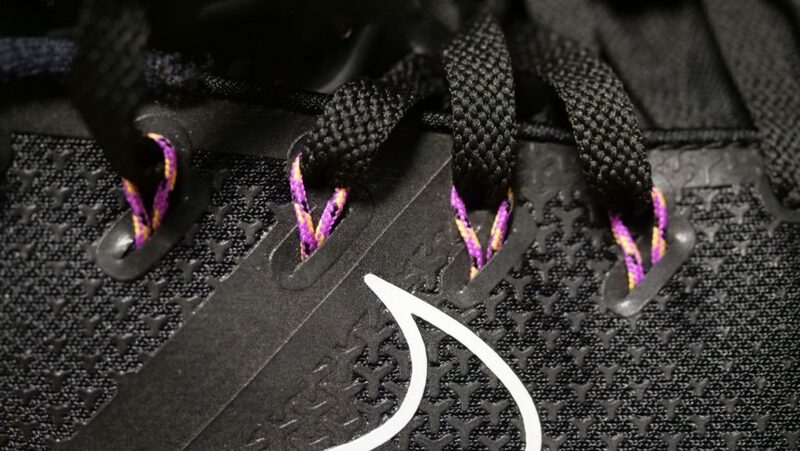 I discussed it above in the construction section, but this shoe’s material is constructed with Nike Flywire and light TPU. 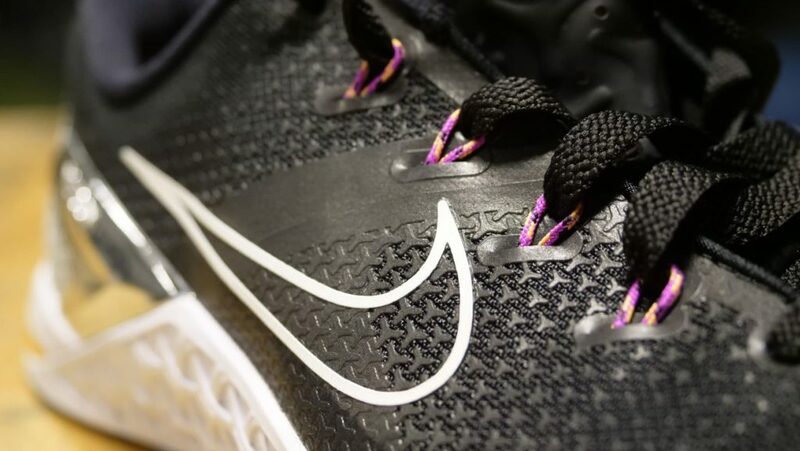 Flywire is material Nike uses that has filaments that act like cables on a suspension bridge to provide support throughout the shoe. Personally, I like the Flywire material and think it’s a good complement of flexible, yet somewhat firm. It provides the shoe with a versatile, but not limiting feeling. 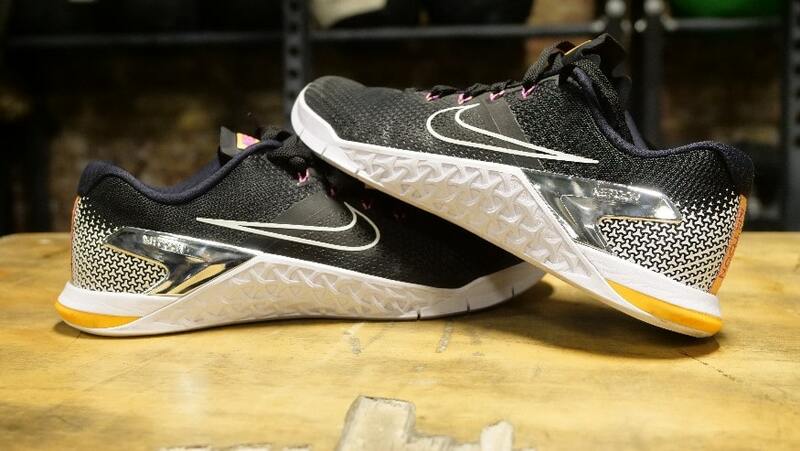 The sandwiched mesh Nike uses in this Metcon model is pretty breathable as well. Towards the front of the shoe it’s bit lighter, which I thought was a plus for both flexibility and breathability. The heel cup of the shoe is pretty low cut has a light amount of padding and kept it moderately comfortable. I don’t think you’ll experience any chafing on the heel like with some higher heeled shoes. I touched on stability a couple times already in this article, but feel like it’s worth talking about again. In all of my performance tests, I thought this Metcon was a very stable option, almost too stable, which made it somewhat uncomfortable on more cardio-based movements. Granted, it’s not a shoe designed for cardio. I thought this slight problem a testament to just how stable this shoe is. 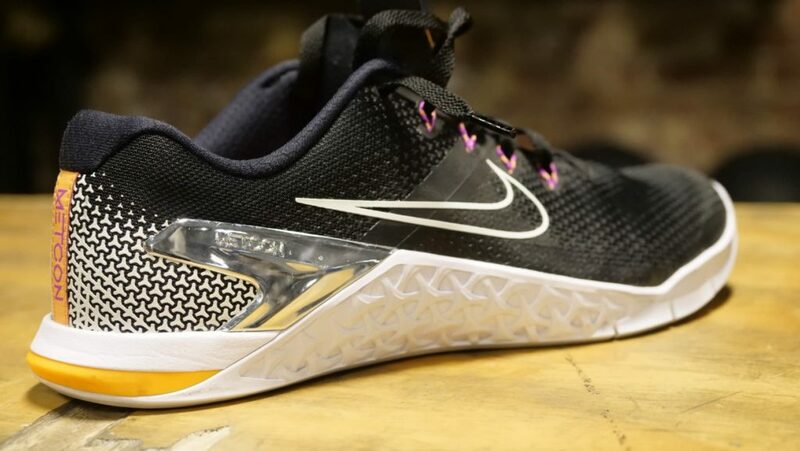 It was mentioned above, the offset for the Nike Metcon 4 is 4mm, which is pretty low. The outsole sits fully flat on the ground, so there are no parts of the foot that feels elevated. I’m a fan of the medial and lateral extended outsole in conjunction with the heel clip. Since the boot is cut a little lower, I felt those two added a bit of stability to the shoe. The price of the Nike Metcon 4 starts around $130.00. If you’ve bought a pair of cross training shoes before, then this price probably won’t surprise you. For those shopping around, you can expect to pay similar amounts for other company’s newer cross training models. Obviously, you can expect to pay less for older models, but I personally feel like this Metcon is worth the price. It’s one of the first cross training shoes I’ve been really happy with in every performance test with stability. In fact, it’s almost too sturdy for some movements, which is a good thing in my eyes. All-in-all, I’m a fan of the Nike Metcon 4. I think it’s one of Nike’s best models to date for cross training and offers ample stability in workouts. In addition, the sandwich mesh feels durable and I didn’t experience any signs of early wear and tear, so I’d feel comfortable saying your investment will stand a fair amount of time. The only downfall that comes with this shoe is for folks buying it for more cardio based activities. It may be a bit too tough on the body when it comes to repetitive heel strike, so it’s something to keep in mind. If you’re looking for a quality and stable cross training shoe, then I think the Nike Metcon 4 will be a sound investment.